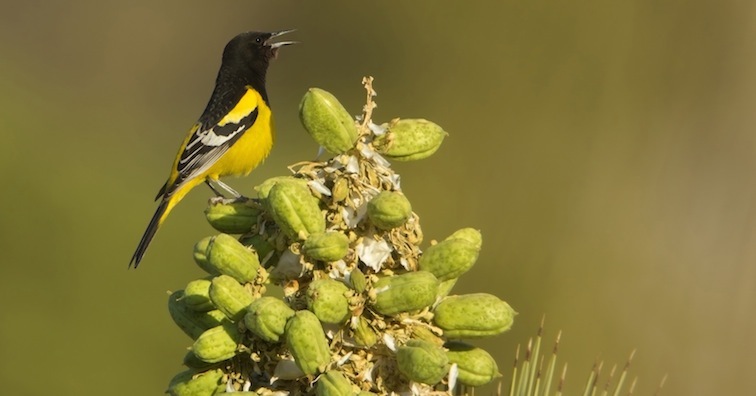 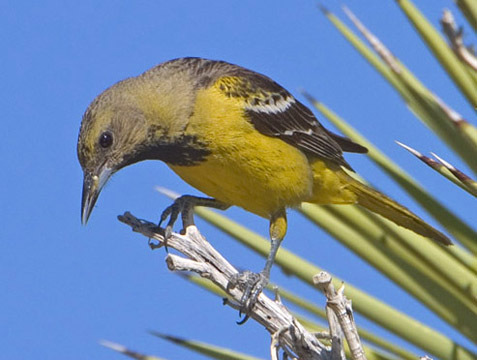 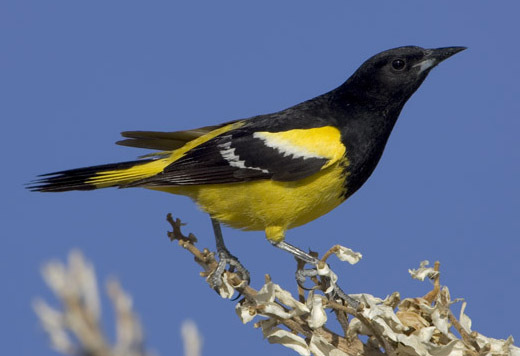 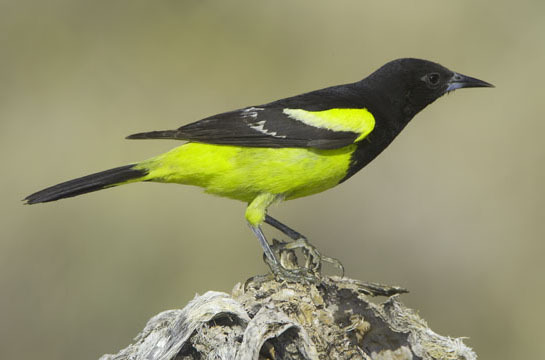 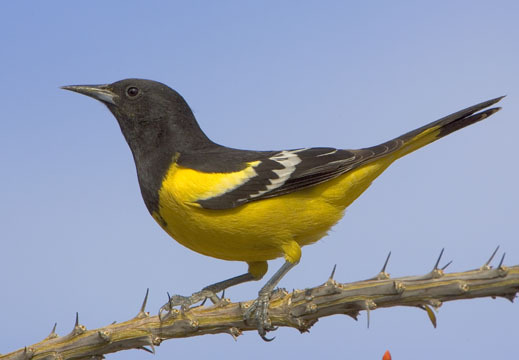 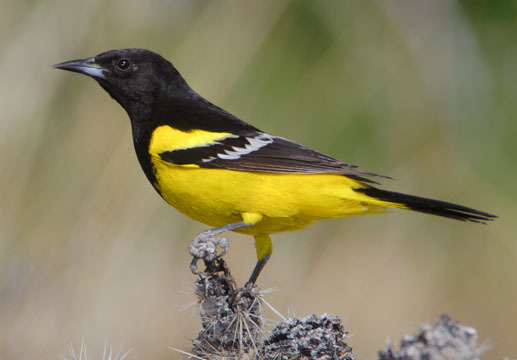 Adult male Scott's orioles are strikingly beautiful black and yellow birds of Southwestern desert scrub, with a lovely song, reminescent of the western meadowlark, as an added bonus. 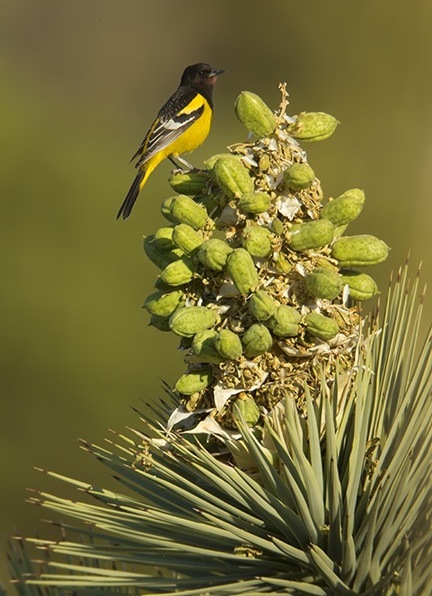 In California they seem to particularly like Joshua tree, juniper, and pinon-pine woodlands. 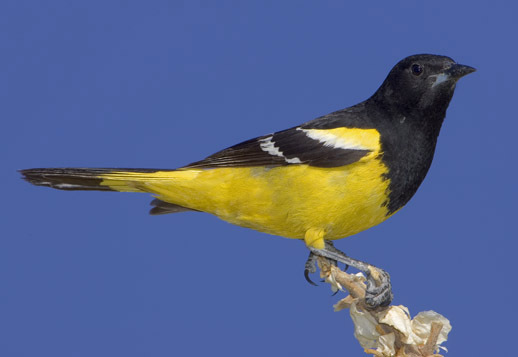 They seem to be rather patchy in distribution, but can be fairly common in preferred areas. 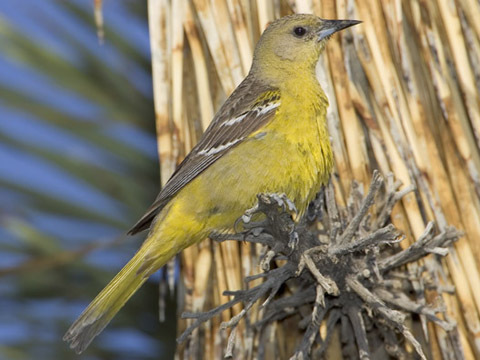 I took most of these photos in Joshua Tree National Park, California. 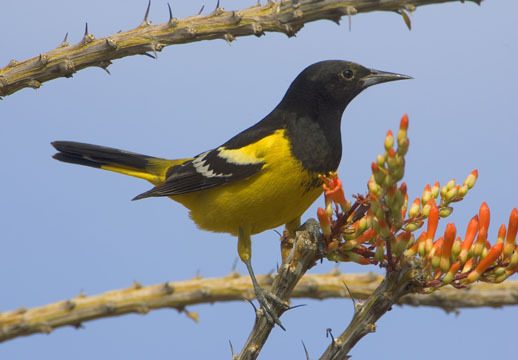 The male feeding in ocotillo (spiky stems with red flowers) was at the Boyd Deep Canyon research station near Palm Desert.